Since its founding in November of 1925, Community Missions has ministered to the needs of the less fortunate throughout the Niagara community. 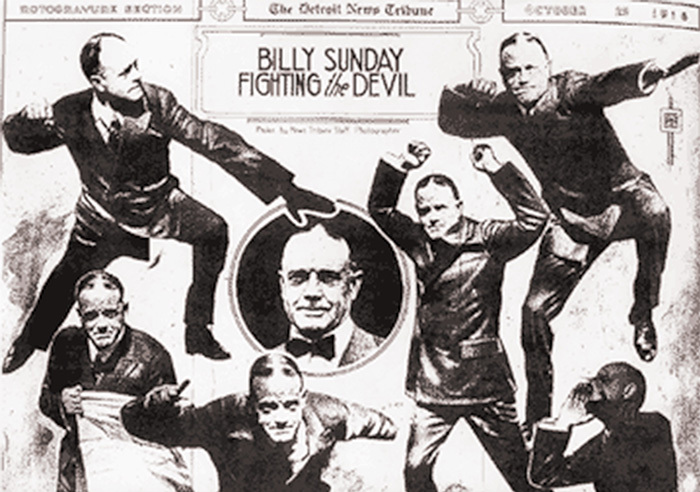 Originally named City Mission, Community Missions was established as a result of the 1923 Billy Sunday revival meetings held in downtown Niagara Falls. Meals, clothing, furniture, and daily religious services were provided to transients and other individuals to meet their human and spiritual needs. The Mission was incorporated in September, 1934. 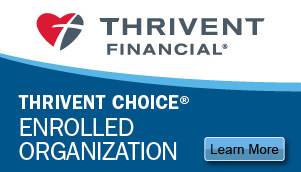 In these early years, with an annual budget of $5,000-$6,000, the Mission relied heavily on the voluntary gifts (i.e. money, food, clothes, and furniture) of the community, friends, and volunteers, who believed in the agency's work and publicly commented that they were blessed themselves by helping their neighbors in need. During the 1950's, annual demand for services provided by the Mission grew to 4,000 nights of lodging and 12,000 meals served, with referrals for help coming from community agencies and the Police Department. Many local lawyers, business executives, and ministers served as directors on the Missions' Board. The Rev. John Beveridge headed the Mission for over 25 years until his death in 1956, and the Rev. 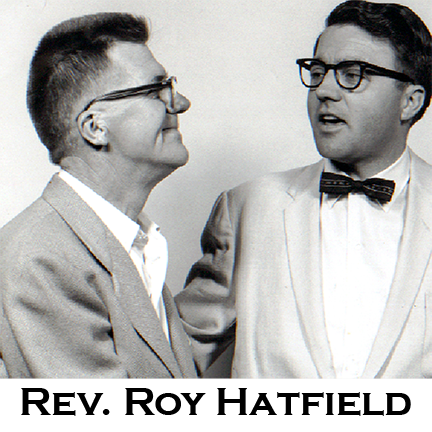 Roy Hatfield became superintendent in January 1957. By 1960, the annual operating budget was $48,000 with 12,000 nights of lodging and 31,000 meals served. All assistance provided was free of charge. 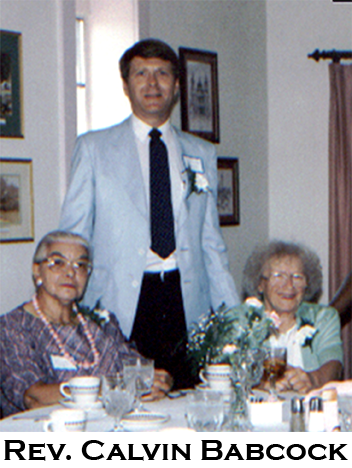 Formed in 1963, a Women's Auxiliary became major fundraisers for the Community Missions for many years. Niagara County's own Iney Wallen was a part of this formidable group of women and directed its theater production to benefit the agency. The 1960's and 1970's brought several new programs to the agency, including Midway Manor (for young men), Lelawala Manor (for teen-aged girls), and Hiawatha Manor (for persons with mental health and addictive disorders). In 1974, the Niagara Falls Police Department announced that anyone arrested for public intoxication would have a choice between going to the Detoxification Center at the Hiawatha Manor or going to jail. 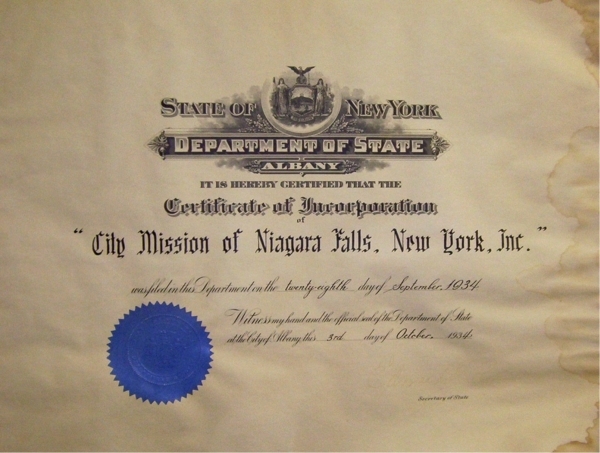 In 1973, the City Mission officially changed its name to Community Missions of Niagara Frontier, Inc. (CMI), a year before Rev. Hatfield retired and Ms. Erma Runals stepped in to head the Mission. The following year, Rev. Calvin W. Babcock became the new Executive Director, beginning 18 years of employment in February 1976. 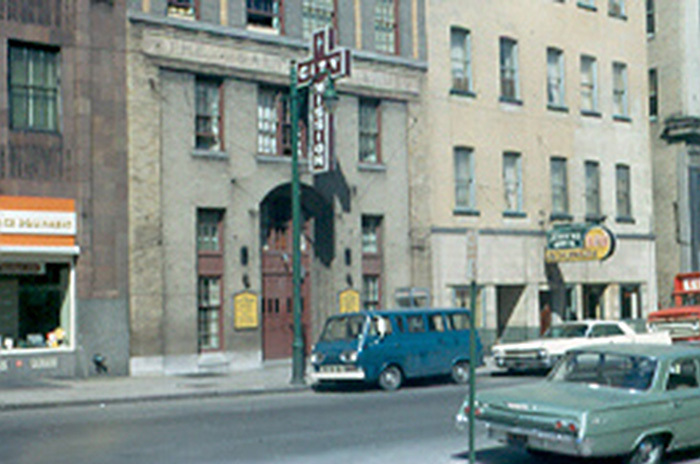 Residential programs for adults with mental illness opened in 1982, which included Ivanhoe Intensive Supportive Apartments, Scattered Sites Intensive Supportive Apartments and Canal View. Hiawatha Manor became the entry point for individuals beginning mental health residential services. Vocational, rehabilitative, educational and socialization programs not only supported CMI residents, but also those within the community needing mental health services. 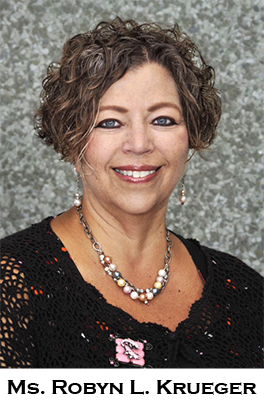 In September 1994, Ms. Robyn L. Krueger became Executive Director, focusing on program and fiscal stability for the agency throughout the 1990's and 2000's. In 2003, facilities were constructed for two new residences: Hansen House and Cleveland Heights, on the site of the former Cleveland Avenue School. In 2004, Mark's Place opened as the only Niagara County residence providing care for persons living with HIV/AIDS. Today, the agency is the largest private provider of basic human needs and mental health services in Niagara County. In recent years, as the economy has worsened, demand within the Mission's Crisis and Community Services has steadily risen. In 2018, the agency provided over 119,000 meals and 13,000 nights of shelter to those in need. 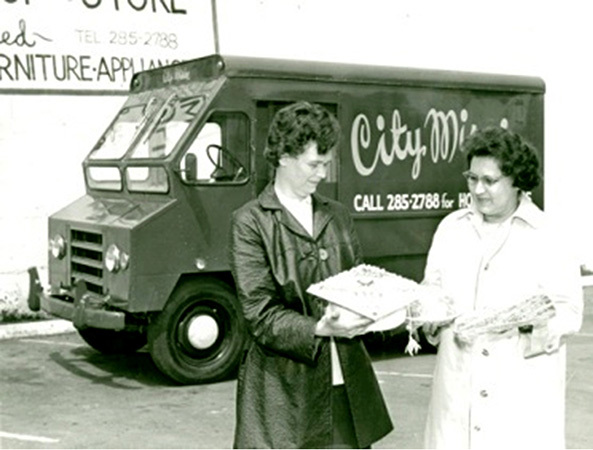 Looking back over its long history, Community Missions is proud of its heritage within, and connection to, the Niagara community. It is with great hope and promise that the agency looks forward to continuing quality and supportive programs and services to Niagara County for years to come!